Since it has been so long since I made an Etsy treasury, I decided that today was as good of a day as any! 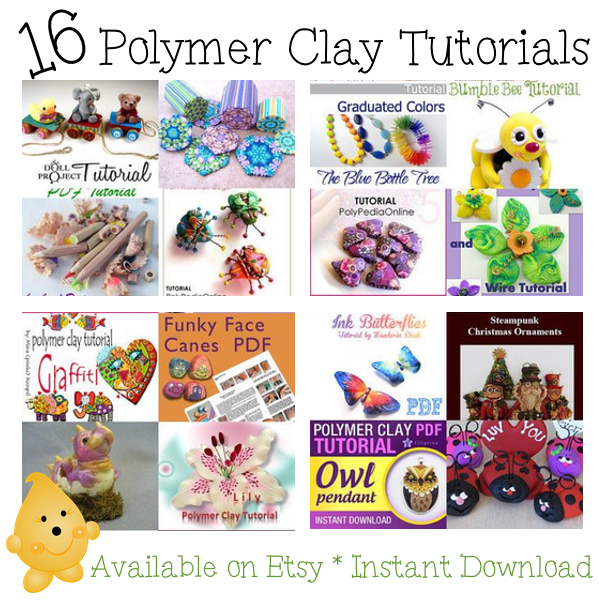 So, here’s a treasury filled with 16 really cool & fun polymer clay tutorials that you can purchase & download today. No need to wait on these tutorials to arrive: just pay, click, download, & start claying! Looking for a new project to try? How about one of these polymer clay tutorials. More tutorials are also available in my Etsy shop.